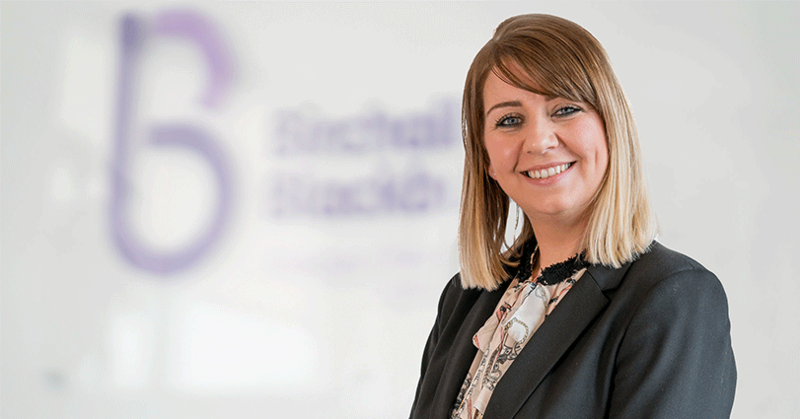 Anna-Marie Knipe is a partner at Birchall Blackburn Law. She is constantly busy with clients and attending local events, but I managed to catch her for a chat earlier this week. We met at a lovely coffee shop opposite the Leyland office to talk about what it’s like to be a solicitor. Q: Hi Anna-Marie! I’ll dive right in and ask, what made you want to be a solicitor? I completed work experience at a local solicitor’s practice whilst at school and I gained an insight into what a week in the life of a solicitor was like – and I was hooked! I initially wanted to specialise in Criminal Law, but during my training contract I was enticed into the Probate Department by the very wise head of the team and have never looked back. Q: What made you want to work for Birchall Blackburn Law? I chose Birchall Blackburn Law because it gave me the chance to assist the people of Leyland. I’ve been with the firm for eight years now, and I believe we have a fantastic support team and a high street friendly ethos. It’s a company that really cares about its clients. In the future, I would love to retire in the sun, probably Florida! Definitely my son Finn. He’s incredible and he’s only 5. That’s easy, my car. I use it a lot outside of work. I take Finn on road trips all the time which are a lot of fun. We go everywhere at the weekends. In general, summer for the long, bright nights. But if I could be anywhere, then winter in New York City. There’s nothing better than Christmas in New York. I have two. Blackrock beach in County Louth Ireland. The beach there is beautiful. The other is Times Square, NYC on New Year’s Eve. What if I fall, oh but what if you fly!